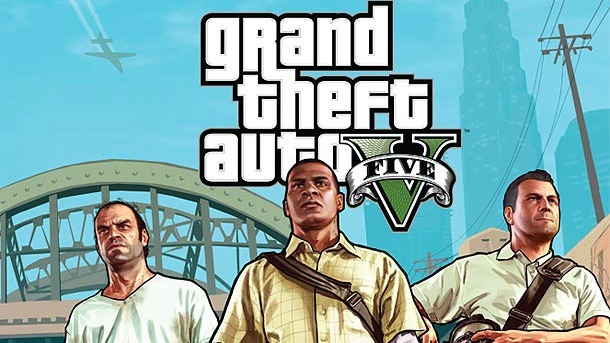 GTA V might just be the most anticipated videogame ever, and that's quite a feat. But while news on Rockstar's latest has been drip-fed up to this point, tiding us over before another snippet of information becomes available, Game Informer has today answered some of the more pressing questions surrounding the game. Chief amongst them is the reveal that GTA V will boast not one, nor two playable characters, but three. The US magazine unveiled the front cover of its upcoming December earlier today in the long-awaited cover reveal – which also serves to tease the release of the digital edition of the magazine later on tonight - depicting each of the leads we'll no doubt come to love (or hate) in the same cel-shaded art style anyone familiar with the Grand Theft Auto series will already be accustomed. It's a design choice no doubt bred from the critical acclaim gathered from GTA IV's Tales from Liberty City DLC. GI also alludes to the meat of the magazine's GTA V coverage (its biggest cover story ever might we add) in typically-intriguing fashion, saying the feature will “discuss the ground-breaking way you use them.” Quite what that means is unclear until we get our hands on Game Informer ourselves, but it does suggest Rockstar may be playing with the GTA formula in new and interesting ways. Furthermore, the reveal exposes the fact that the re-imagined Los Santos is the biggest open world ever created by the company, which is in itself a remarkable achievement, and judging on what we've seen so far, will be one of the most intricately and expansively detailed yet. For more information, visit the official GTA V website. Pre-order GTA V from Amazon here.